Vesicle-associated membrane protein 2 is essential for cAMP-regulated exocytosis. VAMP (also know as synaptobrevin) is part of the synaptic vesicle docking and fusion complex and plays a central role in neuroexocytosis. Two VAMP (vesicle-associated membrane protein) isoforms are expressed in the nervous system and are differently distributed among the specialized parts of the tissue. VAMP-1 and -2 are present in all tissues tested, including kidney, adrenal gland, liver, pancreas, thyroid, heart, and smooth muscle. 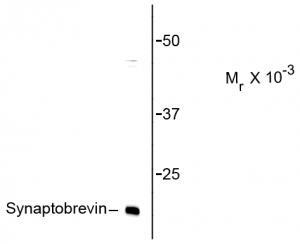 The two isoforms are differentially expressed in various tissues and their level may depend on differentiation. 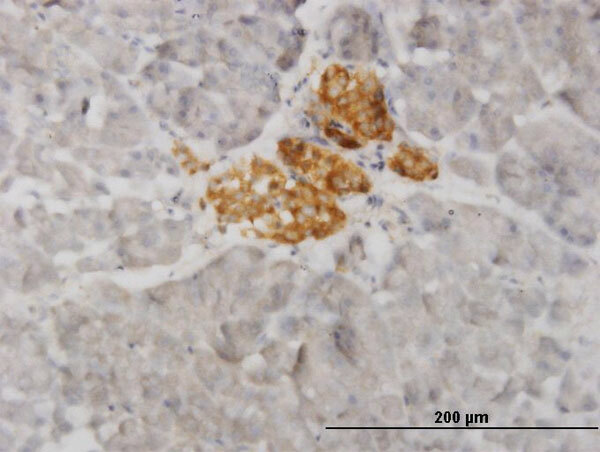 VAMP-1 is restricted to exocrine pancreas and to kidney tubular cells, whereas VAMP-2 is the predominant isoform present in Langerhans islets and in glomerular cells. 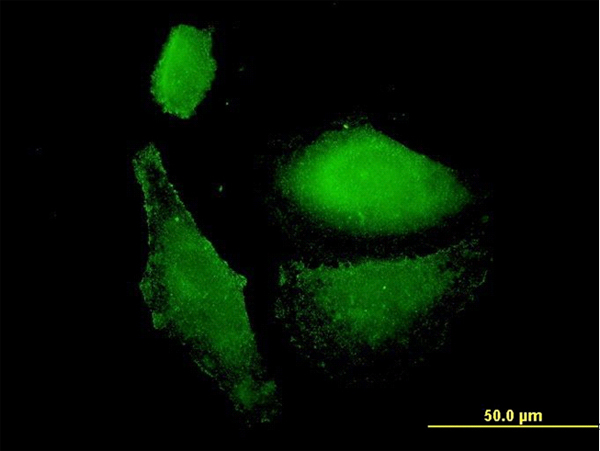 Both isoforms show a patchy vesicular intracellular distribution in confocal microscopy. 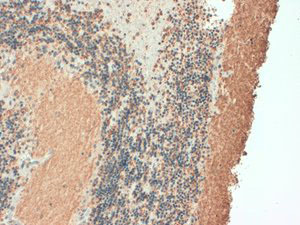 Evidence for the importance of neuronal VAMPproteins in the physiology of all cells is indicated. Nystuen AM et al., Neurogenetics(2007) 8:1-10. Pennuto M et al., Mol Biol Cell. (2003)14:4909-19. 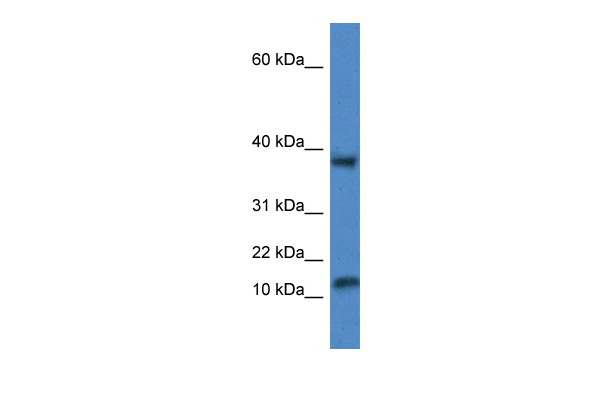 VAMP1 monoclonal antibody (M02), clone 5A4 Western Blot analysis of VAMP1 expression in HepG2 ( Cat # L019V1 ). 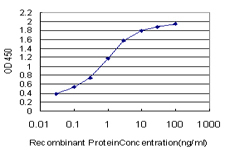 Detection limit for recombinant GST tagged VAMP1 is approximately 0.03ng/ml as a capture antibody. 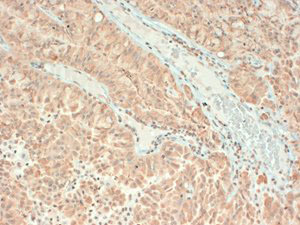 VAMP1 monoclonal antibody (M01), clone 5F3. 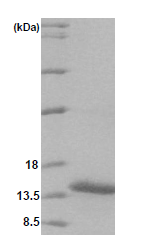 Western Blot analysis of VAMP1 expression in HepG2 ( Cat # L019V1 ). 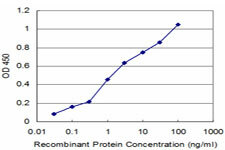 Detection limit for recombinant GST tagged VAMP1 is approximately 0.1ng/ml as a capture antibody. 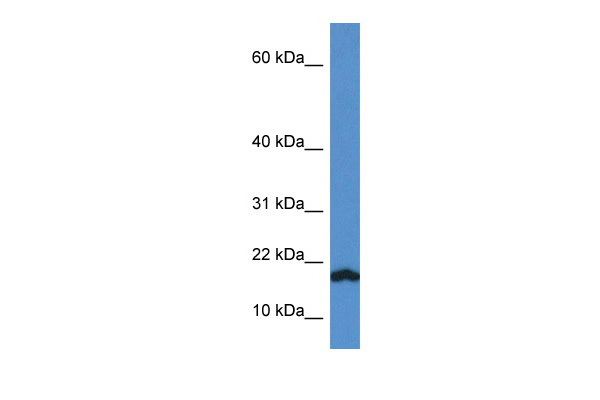 Western blot of rat brain lysate showing specific immunolabeling of the ~ 16k synaptobrevin protein.